to the neck, shoulders, face, and hands. 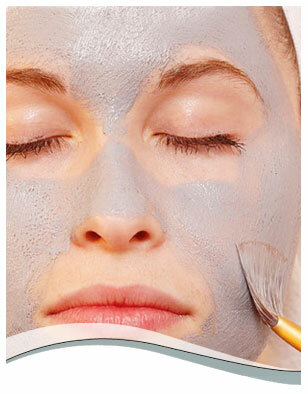 glycolic peels. A series of six treatments is suggested for maximum results. This treatment starts with cleansing, a masque and a moisturizing facial and is followed by a pressure point facial massage focusing on opening up your sinuses and relieving tension. A neck and shoulder massage extends your relaxation while a blend of scented oils are used to calm you inside and out. A Tea Tree Treatment is applied to your scalp and massaged in to take away scalp dryness. A soothing shampoo and blow out finishes this calming treatment. Nothing reinvents or redefines you more quickly and noticeably then a makeover. will blend a palette that is just right for you. Earlobe only. Includes one pair of earrings.